First of all, many thanks to all who continue to follow Andreas’s website with great interest. Several requests have been made regarding Andreas’s flight logbook in particular, so we would like to explain it in more detail. 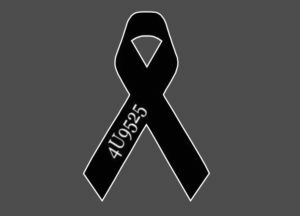 At the end of 2013, after successful completion of his pilot training at Lufthansa, Andreas joined Germanwings, a subsidiary of Lufthansa, as a co-pilot. 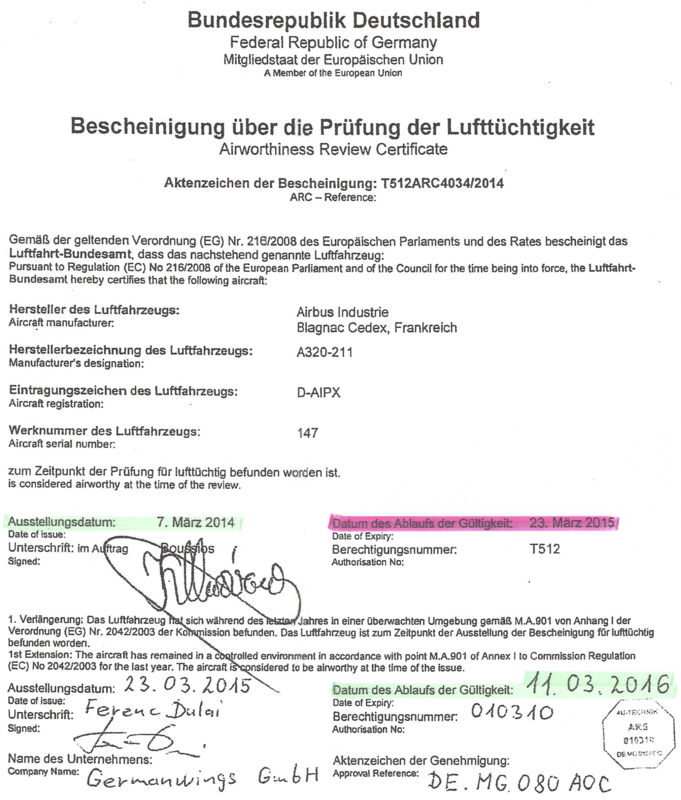 In the meantime, Eurowings (also a Lufthansa subsidiary) has assumed responsibility for Germanwings, whose flight operations continue to be carried out under the Eurowings aegis. However, Germanwings will soon disappear as a brand. Aircraft experts are of the opinion that old does not necessarily mean unsafe, and that 24 years is not unusual for an aircraft. However, it is acknowledged that these machines become more vulnerable and more maintenance-intensive with increasing age. But then the tightrope walk begins: more intensive maintenance results in longer downtime; on the other hand, carriers are continuously under pressure to remain profitable, and an aircraft on the ground earns no money. A flight logbook indicates the date on which a pilot traveled, on which routes (RTE), and with which aircraft (CALLSIGN and REGISTRY). Also, unusual incidents are recorded in additional columns (REMARKS / RESEARCH RESULTS / EVENT MENTIONED IN MEDIA) and (OFFICIALLY DISPLAYED EVENTS IN AUTHORITY DATABASE). 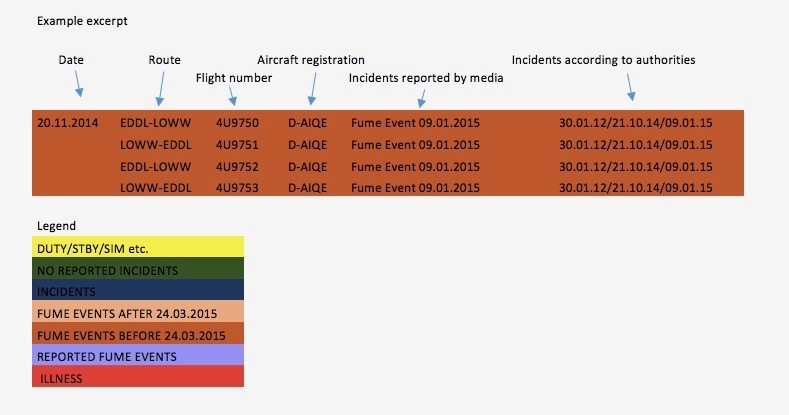 The analysis of Andreas flight logbook shows that he was mainly deployed on planes that had a high frequency of fume event incidents (3) (88% of his flights). Kerosene (fuel), hydraulic fluid or de-icing fluid become toxic fumes, which result from a defect in the engine, and are passed into the air-conditioning via the bleed air system, and thus into the cockpit and passenger cabin. There are fume events in which there is clearly smoke or a noxious smell, but this is not always the case. If this contaminated air is inhaled by individuals who do not quickly degrade these toxins there can be a profound health impact, including insomnia, vision disorders and damage to the nervous system. Almost all these symptoms were diagnosed in our son, as well as confirmed by pilots (2016) who remain unfit to fly due to irreversible, neurological damage related to such fume events (of course, passengers are also affected). Not all of them recall experiencing a real fume incident, and it could be that some have become ill as a result of the chronic stress in the execution of their profession. It seems that now, slowly and quietly, steps are being taken in the right direction. But this reality clearly affects all who fly and they should give serious thought to this topic. This entry was posted in All posts, General on 28. October 2017 by Autor.